Tacos, Burritos, Enchiladas, Oh My! The International Laser Class 2016 World Championship is taking place May 11 through 18 near Puerto Vallarta. Where they have no Vegemite! That's okay, sailors will be all the better prepared for Rio. The fine young Aussies in the photo below are learning intricacies of Mexican food during their visit to Banderas Bay for the 2016 Laser World Championship. Good luck to them on the race course. We think they will really enjoy the regatta, both on and off the water! 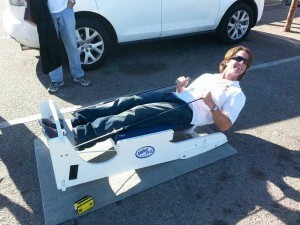 If you were going to design the best available hiking bench, so that it was easily transportable, affordable, and delivered the best hiking workout for dinghy sailing, what would it look like? 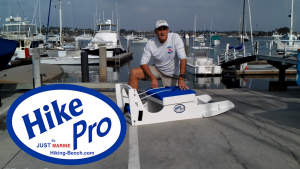 Meet the Hike Pro by Just Marine. It travels easily, it assembles quickly, and it offers features other hiking benches do not.